Supporting other bloggers is so important! Most bloggers will agree that one of the great things about blogging is meeting people who share similiar interests to you and being a part of a supportive community. I’m sure if you’re a blogger and you’re reading this, you’ll at least have one blogger in mind who you have formed some form of relationship with. Shout outs – Give a little shout out on social media to some of your favourite bloggers right now, a blogging friend, someone new you’ve followed/who’s followed you or even a few posts you’ve been loving that week. 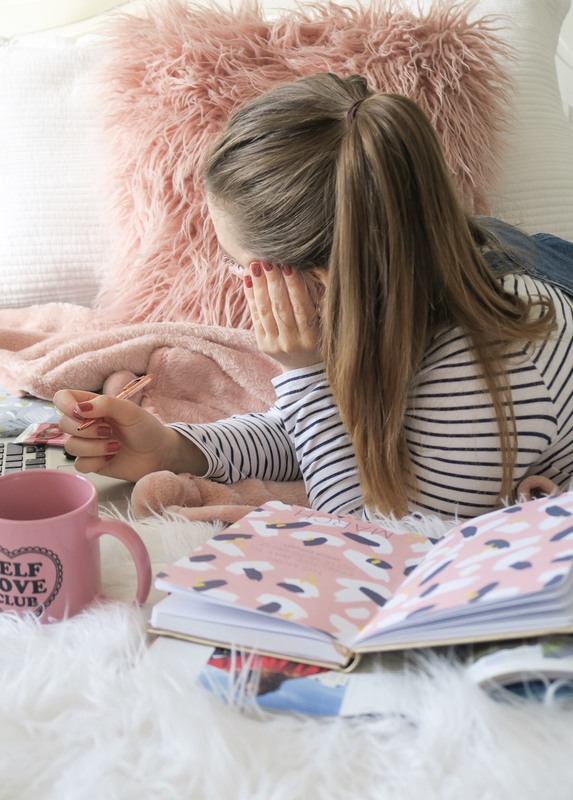 Encouraging others to check out other bloggers and their work is great for boosting other people’s confidence, but also showing your support for other people and making them know their hard work is recognised. Chats – Join in blogger chats that happen most days a week on Twitter! These can be great for meeting new people and chatting about a range of topics. You might find you get on with someone great and others you might not so much. This is ok. But always remember to respond back or let others aware you have seen their mention to you. It’s all about respect! Offer advice – If you see someone struggling with something on on your feed, whether this is personal or to do with blogging, if you know some useful and valid information that might help, then share it with them. Make them aware you care and want to try help. This will help to spread that support between you and other bloggers. Most people will try be there for you the next time you need help! Join groups – There are a range of different blog groups that you can join on Pinterest, Twitter and Facebook. Some of these groups will help out with driving traffic to your blog such as Pinterest. Twitter groups like #TheGirlGang are great for meeting other bloggers and building relationships. There are also Facebook groups that also help you to share your content and chat to like minded people. Getting involved with communities within the blogging industry is great for showing support! Interview them – Another series idea you could incorporate onto your blog is an interview a blogger series! Reach out and request other bloggers to feature on your post. Ask them a set of questions and feature their answers on your post, along with links to their blog and with their permission a few photos from their own posts. This will improve your relationship and show that you are generally interested in supporting them. Guest post – If you’re ok with it, then why not have another blogger guest post on your blog? If someone reaches out to you, then have a good discussion with them about what they would like to bring to your blog and what their post would be about. Alternatively, you can reach out to other bloggers to guest post on your blog. Not only is this great for promotion for the both of you, bringing in two audiences, but also great for developing relationships with other bloggers. Collaborate – Another suggestion in how you can support and work with other bloggers is to collaborate together. This could be like the guest post idea above or this could be by working together, but producing your own posts for your own blogs. You could think of an idea together, plan who’s going to touch on what, help them out whatever they need, create the post and promote each others posts, advertising that you have collaborated on this. This is great fun, as well as building on those relationships and support again. Link their posts – Linking their posts on your blog or within your own posts is simple easy to do and you don’t have to limit yourself to just one option. If another blogger has inspired you to write a particular post, then credit them for the idea and give others a chance to check out their post. This blogger will really appreciate the credit, as well as feel honoured to have inspired you and that you have shouted out them out. This is a really great way to be supportive. Other things you could is advertise/promote other bloggers within your side bar or at the bottom of your post. This is a great way for your readers to check out their blogs, follow them if they want and enjoy their posts. This will improve your relationship with other bloggers. You could also feature your favourite posts or blogs within a post of your own. For example, I have a series I do every so often showcasing 4 of my favourite bloggers (view them here and here). Also you could feature them in your monthly favourites posts. Not only is this beneficial to your readers, but also shows your support and encouragement towards other bloggers. Giveaways/freebies – Whether you’ve reached a milestone or just feeling extra generous, holding giveaways or offering freebies to other bloggers is a great way to show your support and respect to other bloggers. If you run a beauty blog, hold a giveaway that involves lots of exciting beauty products to give away to your readers/other bloggers to be within the chance of winning. Or if you want to target bloggers in particular with your giveaway, then chose items/services that you know will be useful to bloggers. This might be new notebooks to help them keep organised, a voucher for a new theme for their blog or some blogging props. In terms of freebies, if you want to target bloggers and have the opportunities to do so, you could easily offer them discount codes for particular services/items for other companies or any creations you make, such as blog designs and headers. This will really show you are giving back to others and wanting to support the community your involved in. Comment on others posts – I absolutely love commenting on others blogs! It’s always kind and respectful to respond to others comments on your posts, check out their blogs if they have left a link and leaving them a little comment to respond back to. This can be great for spreading positivity and sharing that support between the two of you. Hold a meet up – Whether this is an official event or even just a few of you meeting up to go for coffee in town, meeting up with other bloggers is so beneficial to keeping a community and supportive, fun and kind place. It also gives you a chance to meet new people and see those who you have been talking to for however long in real life. This will encourage others to get involved next time round! How do you support other bloggers?